This fine Second Empire-style house was built for George Brown between 1874 and 1876. The elegance of his residence reflects his prominence as a Father of Confederation, founder of The Globe newspaper (now the Globe and Mail) and a leading Liberal politician. 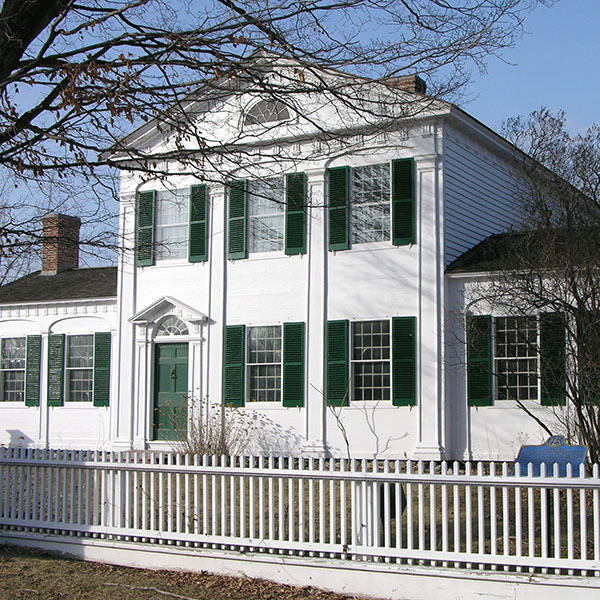 The house was declared a National Historic Site in 1976; a decade later it was threatened with demolition. The Ontario Heritage Trust intervened, restoring and re-opening the house in 1989 for use as a conference centre with tenant offices on the upper floors. 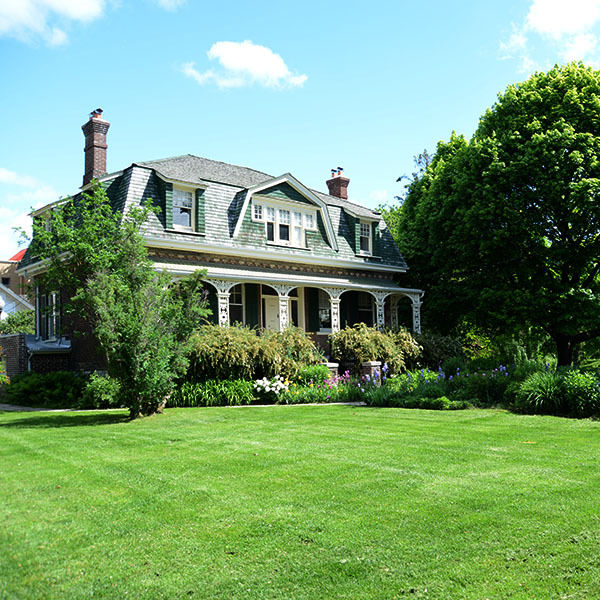 The house is one of the best-preserved and documented urban examples of the Second Empire residential style in Ontario. The Trust restored the building to its original 1876 construction date to preserve the heritage character of the building, to commemorate George Brown's role in Canada's history and to make the site financially viable through the revenues from office space, conference facilities, weddings and film shoots. Originally named Lambton Lodge, the house was built for George Brown, a successful businessman, his wife Anne and their three children. Duncan Coulson, president of the Bank of Toronto occupied the house from 1889 to 1916 with his wife Eliza and three children. The Coulsons remodeled the dining room in an art nouveau style. Following Coulson's death, a three-storey school for the blind was built at the back of the house. This house was used as office space for the Canadian National Institute for the Blind from 1920 to 1956. A school for developmentally challenged children later took its place until it was demolished in 1984. The replacement school now wraps respectfully around the restored George Brown House property. 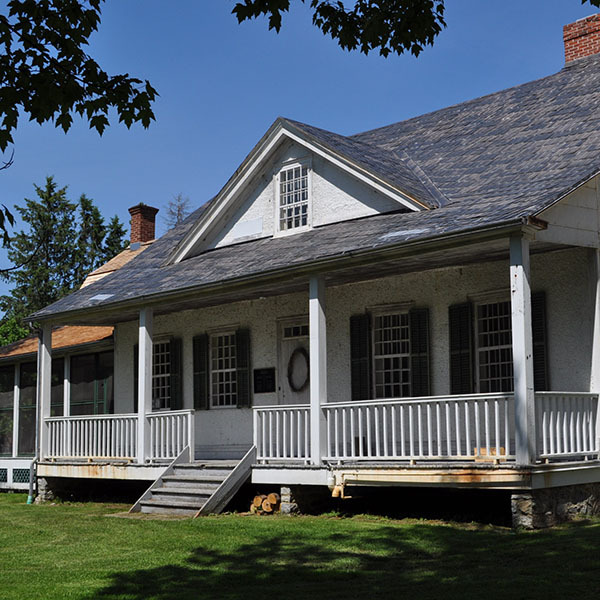 The Ontario Heritage Trust researched and restored the house between 1987 and 1989. A Victorian library has been recreated by the federal government and now houses 2,000 of George Brown's personal books. A Victorian-inspired garden was planted in the summer of 2000 – the first project funded by a donation to the Trust's Heritage Garden Conservancy Fund. Thanks to a partnership with the University of Toronto Faculty of Architecture, Landscape and Design, the gardens at George Brown House flourish.